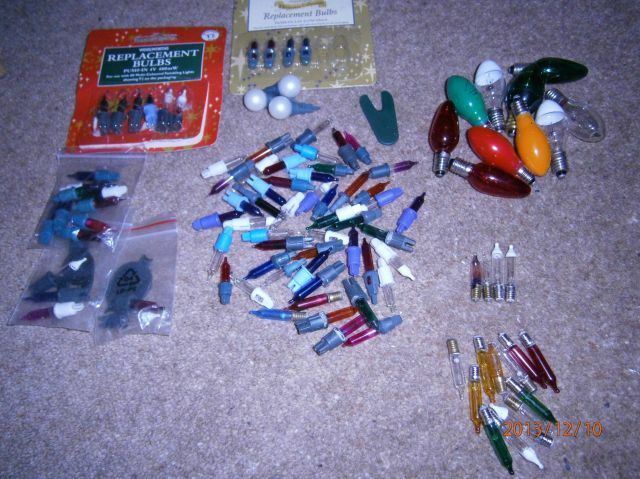 Lighting-Gallery-net - Christmas Lights/Spare Christmas Bulbs Allsorts. My Spare Xmas light bulbs, yes i dont go for NEW LED light sets yet i like the fancy traditional Old 80s 90s sets, Some from Philips Screw in, Woolworths 80 sets, and outdoor sets here. Those large screw cap bulbs at the top right with the white top are likely fuse bulbs.